BANKEX is supported by 9 banks with an overall capitalization of 431 billion USD as well as Microsoft Azure, Symphony Software Foundation and ConsenSys’s formation Balanc3. BANKEX’s Proof-of-Asset Protocol is ready to bridge the gap between blockchain, physical assets and traditional financial instruments. BANKEX has already secured its first institutional asset client with MovieCoin,who targets a $100M raise during 2018. Moviecoin will work on BKX gas exclusively and has committed up to $3M to BANKEX. The BANKEX token sale will be running for one calendar month starting from November 28th 2017. Having 15 million USD in committed funds, BANKEX aims to raise 140,000 ETH during the token sale with 280,000 ETH reserved for institutional investors. BANKEX token sale accepts BTC, ETH, Waves, TIME, Litecoin and SALT. The token price throughout the token sale is fixed at 500 BKX worth 1 ETH. “All resources acquired during our TGE, will be used to ensure the success of all stakeholders involved in the BANKEX project. We aim to be transparent, fully resourced and equipped to fulfil our mission statement and to ensure we continue to grow and expand our team of world class employees,” – Igor Khmel, CEO at BANKEX. 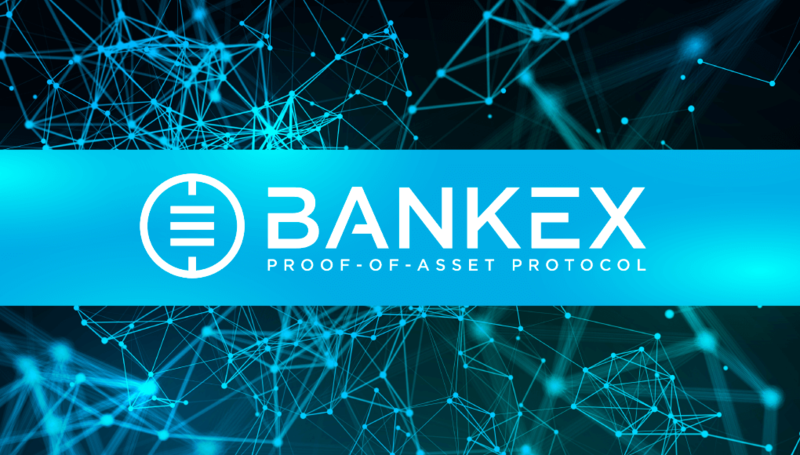 BANKEX is determined to bring change and solve the age old liquidity constraints of non-fungible asset classes with the help of our Proof-of-Asset (PoA) protocol. Powered by blockchain, Artificial Intelligence, the Internet of Things and based on the principles of Bank–as–a–Service; the PoA protocol serves as a mechanism to tokenize various types of assets which are able to generate cash flows. The PoA protocol allows investors to fund non-public companies securely by digitizing real assets and listing them on the BANKEX asset exchange in the form of a token. An asset is tokenized when the asset owner initiates the process within the BANKEX ecosystem. BANKEX verifies the provided information is valid, accurate, and relevant. The information is then included into a smart contract which will be recorded on blockchain and denominated in the form of a token .You can check the open source code here. BANKEX supports businesses all the way from digitization of an asset to the initial offering of a Smart Asset on the exchange platform. BANKEX is a decentralized Bank–as-a-Service ecosystem that provides fintech solutions powered by the blockchain. BANKEX Proof-of-Asset protocol (PoA) is a standard that enables a new generation of assets and contracts creating decentralized and frictionless capital markets. By using Smart Contracts to trade tokenized assets BANKEX is altering the way businesses can attract capital for their ideas, hopes and dreams. BANKEX’s advanced solutions have various areas of application from sole entrepreneurship to multinational corporations, helping everyone achieve new heights and earn a hefty profit in the process.